On my mother’s birthday every year, she gives ME a gift because she says I was her ultimate present. Yeah, she’s awesome, I know. This year she gave me Walter Mosley’s novel “White Butterfly.” She knows I adore him and Mr. Easy Rawlings. A) The Brooklyn Book Festival goes down this weekend. Come through for features from people like Terry McMillan, Jacqueline Woodson, Walter Mosley, Colson Whitehead, Joyce Carol Oates and many more. Find out more info here. B) Toure is having a book signing in NYC on Monday. He’ll be reading from his new book “Who’s Afraid of Post Blackness?” & having a panel discussion with Nelson George and Dr. Marc Lamont Hill. More info here. Listen to Colson talk about “Sag Harbor” here. 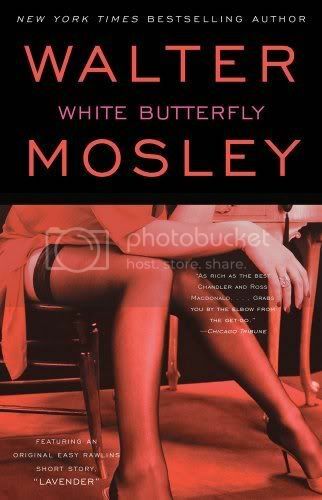 Read about Mr. Mosley’s book here.